Secure email service for all your staff. Unlimited mailboxes, flexible storage, encrypted transmission and great support. The importance of email for a modern enterprise is tremendous. 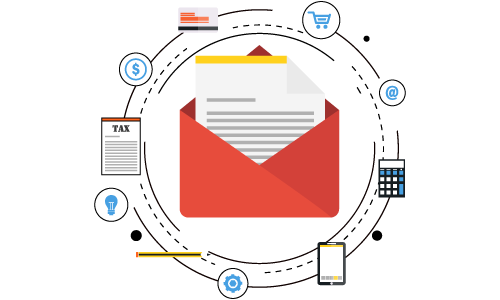 What we offer is a managed, secure email service that you can rely on. We provide flexible storage so that you don’t have to worry about disk quota. To make it easy, our offerings provide you unlimited mailboxes. You can start with basic storage option and increase it when you approach the allotted space. No need to delete your emails to make space for new ones, we just increase your storage size on the go. We take care of protecting you from Virus, Spam, Malware and other online threats so that you don’t have to spend time on managing your emails and instead focus your time on your work. We provide secure email transmission to your devices, be it a mobile phone, tablet, laptop or your work desktop. We also provide a very intuitive interface over the web. No matter where you are or which device you use, you always have access to your emails. Didn’t find the specs you were looking for?